Docker containers are the natural environment to many different Buddy actions. 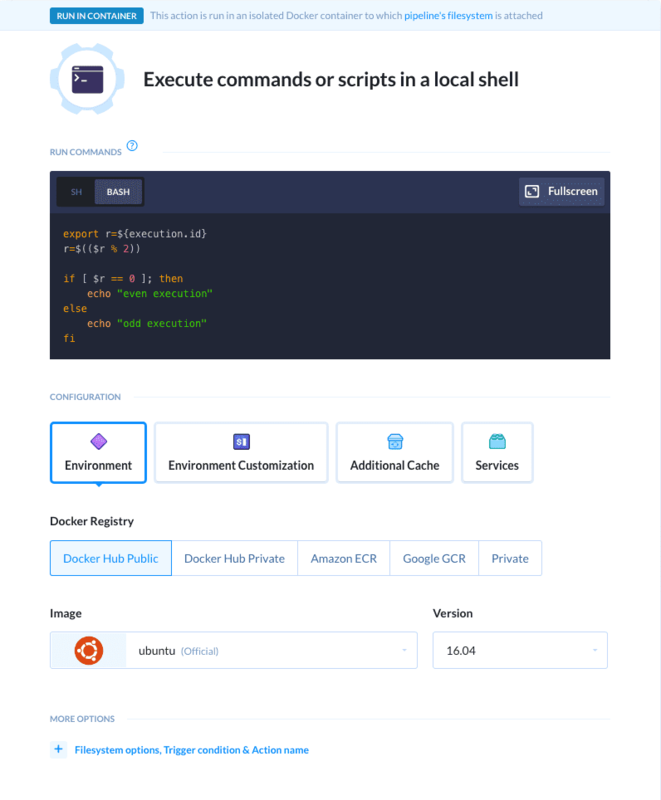 No matter if you run commands in the Local Shell, build a Node application, test a PHP website, or compile Java – they all use Docker containers as their running environment. We’re happy to announce that last week’s update to the SSH action – the BASH mode – is now available across all Docker-based actions. This means you can enter commands either as SH or BASH script – whatever suits you most.